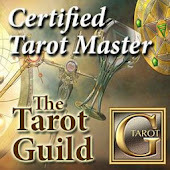 Join me tonight on The Tarot Dactyl Experience 10 PM PST on NAPPN. Here's the link. Tonight we will continue our exploration of the Reiki Techniques deck. Also, I've been participating in an interesting discussion on Linkedin this week that I want to share. And then, it's UNICORNAPALOOZA!!! Unicorn Tarot cards, Unicorn Card meditations and Magical Unicorn comforting advice. I will share some of the unicorn lore I've been reading. And of course, Unicorn mini-readings for the chatroom!